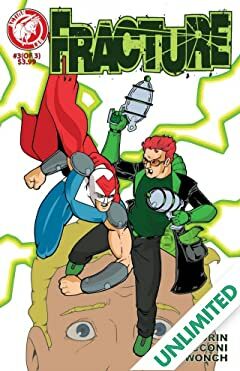 In the metropolis of Lower Triton, the city's greatest hero, Virtue, its nastiest villain, Malice, and a run-of-the-mill guy named Jeff have something very important in common. 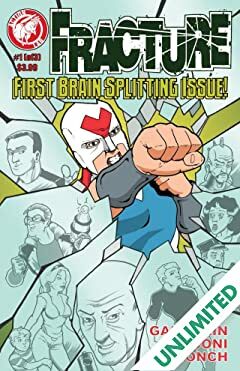 They're all the same guy and none of them knows it until now! 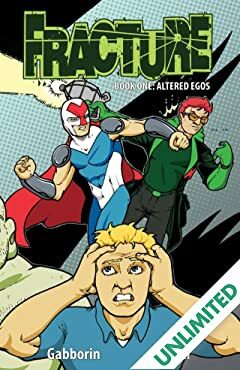 When Jeff stumbles upon Malice's diabolical plan to murder Virtue, he has to step in way over his head, to try to save himself--all three of himself--from himself! 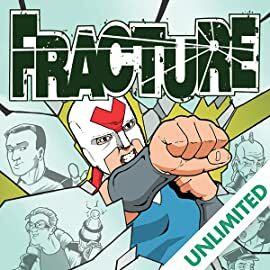 Written by Shawn Gabborin with Artwork by Chad Cicconi & Dave Dwonch, "Fracture" is fueled with multiple personalities, superhero action, and comedic moments as Jeff tries to balance between two personalities dead set on killing each other.